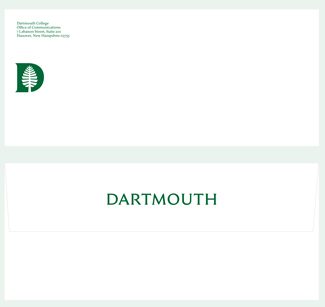 Letterhead, envelopes, and business cards can be ordered from Dartmouth Printing and Mailing Services (DPMS). 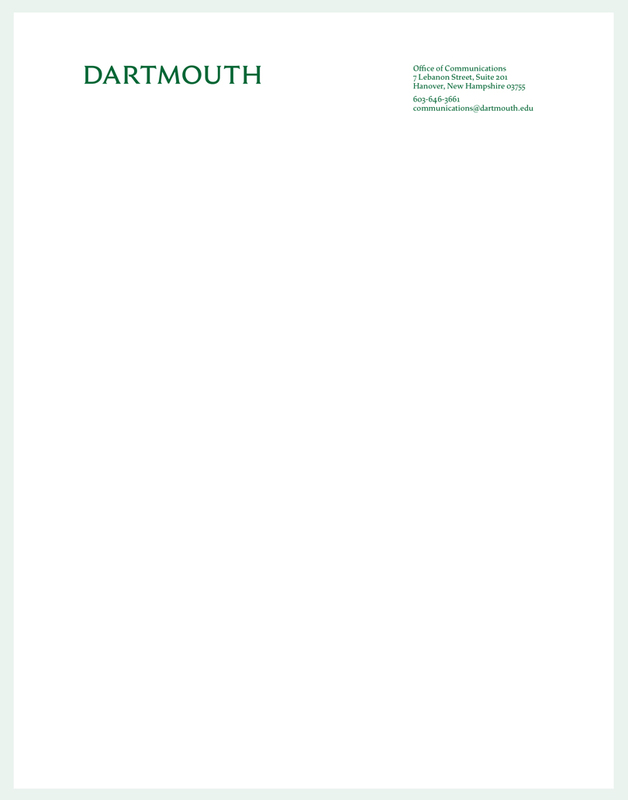 Letterhead templates for MS Word are also available for downloading. 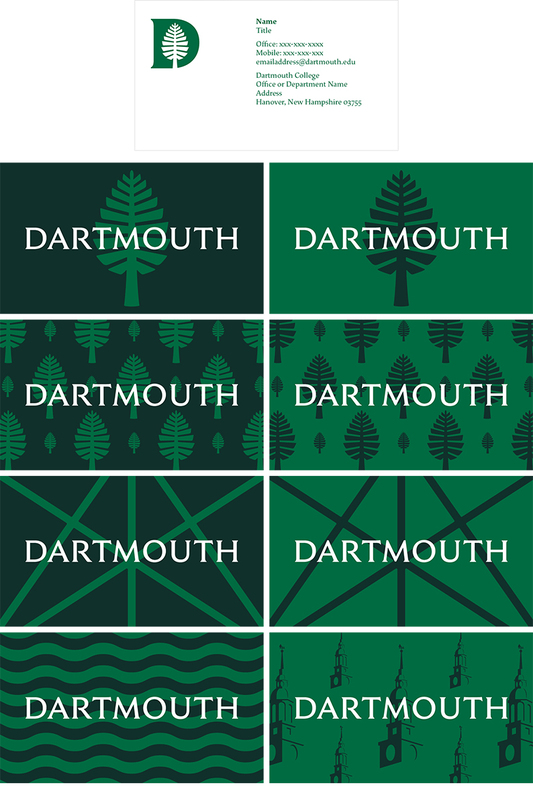 Before using the Word templates, the typeface Dartmouth Ruzicka must be installed. Letterhead will be available in standard size (8.5x11), monarch (7.25x10.5), and half-size (5.5x8.5). Two versions of the letterhead are available for downloading as Word documents. NOTE: Before using the Word templates, you must install the typeface Dartmouth Ruzicka on your computer. If Dartmouth Ruzicka is not installed, the letterhead will be formatted incorrectly. After installing the new typeface, restart your computer. You will then be able to use the letterhead template. Read more about installing and using Dartmouth Ruzicka. 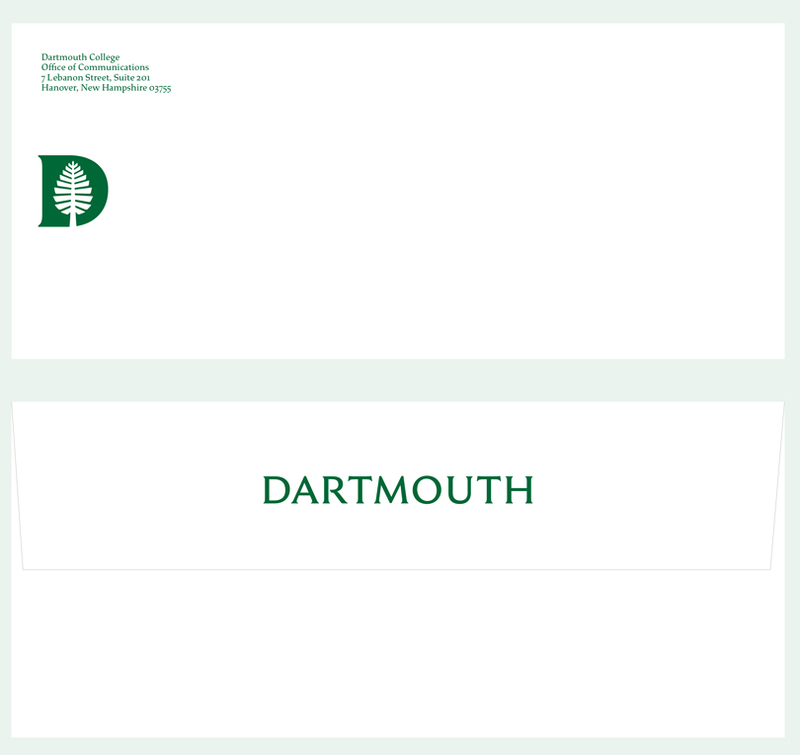 One version of the letterhead includes only the Dartmouth wordmark at the top left of the letterhead (click on the image below to download this version). The other version includes both the wordmark and the name of the department or office at the top left (click on the image below to download this version). To edit the return address field or the name of the department or office, double-click near the top of the document to open the header. Then click on the text box at the top right or the department/office field under the wordmark to edit the text. Pages beyond the first page will not include the return address. Envelopes are available in #10, 6x9, 9x12, A2, A6, and A7 sizes. Business cards are available in a number of options. Copyright of the Trustees of Dartmouth College.